This is one of the products we are extremely proud to offer. 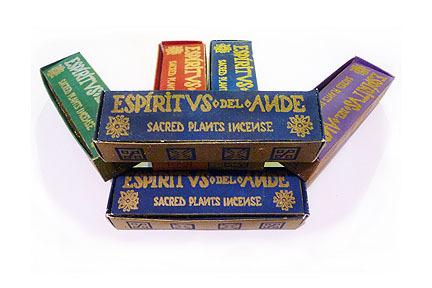 It's a product of a Peruvian Cooperative, and it's also one of the best incenses we have found for those who love the heavily-used ritualistic incense known as Palo Santo wood. Typically, Palo Santo comes as sticks or chips, but our Peruvian Cooperative uses ancient recipes to turn the Palo Santo wood to dust, then blending it with natural resins and a second ritualistic herb such as sage.